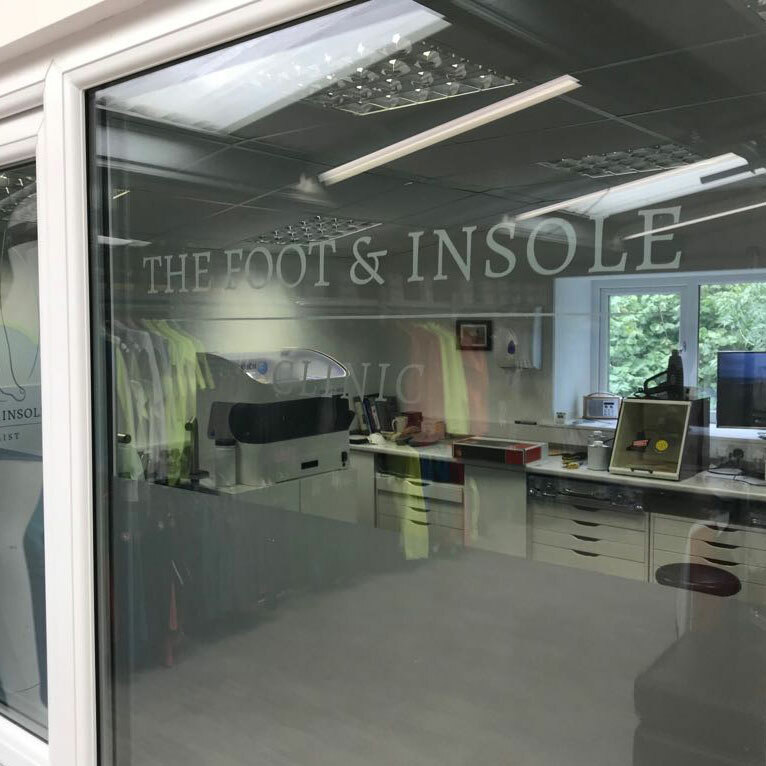 At The Foot & Insole Specialist we take time to listen and discuss your needs and requirements as an individual. The dynamic pressure distribution of your feet is scanned as you walk over our state-of-the-art pressure plate. 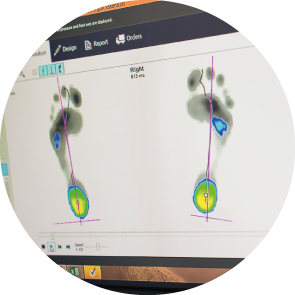 The correct insole is then chosen based on your pressure plate results, sole wear, gait and pathology. A selection of different insoles are available depending on your sport or activity, for example Golf, Cycling, Walking or Every day dress shoes. A carbon copy of the foot is taken in silicone bags in which the correct, heated, thermo-plastic insole is placed and compressed by the foot into the bags. After a few minutes the custom insole has reset, this is then removed and re-inforced with one of several heel stabilisers. The insole is then taken into the workshop where it is shaped and fitted to one or two pairs of boots or shoes. 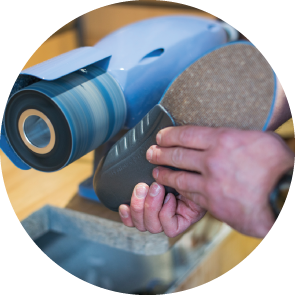 We take time to try the new insole, whilst it is worn we talk through the reasons for the insole and how long an insole should be worn for if this is your first time with custom insoles. The Custom Made Insole process is complete in around 1 hour, while you wait. 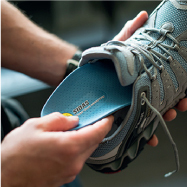 The benefits of the insoles can then be enjoyed immediately!